Coins lost in washing machines and dryers around the world don’t actually disappear into a black hole, Austrian police found out recently. In fact, they end up in China. A German man was arrested in Austria after feeding damaged coins into a bank’s coin deposit machine. Police then found 117 kilograms of euro coins in his car, Austrian newspaper Kurier reported this week. The man’s lawyer explained that the man traveled around once a month to China and bought the coins in bulk. How did the coins end up in Asia in the first place? On board imported scrapped washing machines and cars, Kurier said. Once back in Europe, the man used coin deposit machines to transfer them into bank accounts for their face value. 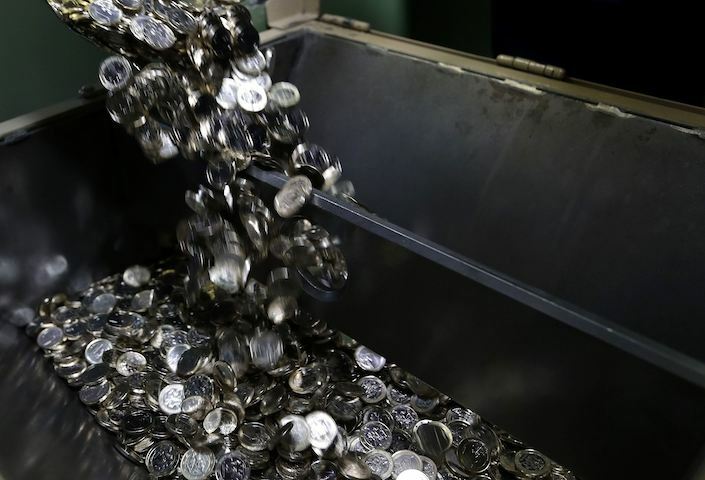 He took any damaged coins rejected by machines to German central bank branches as a last resort, Kurier reported. A court in Austria has now confirmed that the man, who was not named, committed no crime by depositing damaged coins. “There are no uniform guidelines for this in Europe,” the man’s lawyer said.